Learn how to make a positive change in society without sacrificing returns. 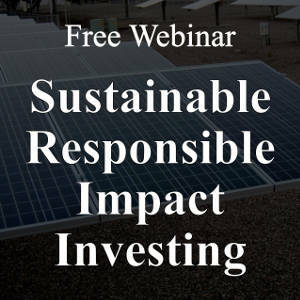 Get a free updated Socially Responsible Investing eBook just for attending. Learn how to improve portfolio returns using alternative investments. Liquid and illiquid alternatives provide an uncorrelated solid return to a portfolio. We do not sell products or get commissions – learn from an independent unbiased fiduciary. Retirement Planning – When can you retire? 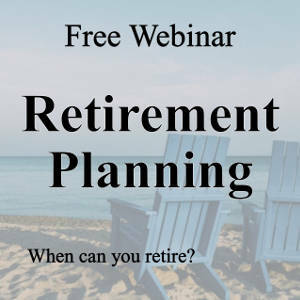 Learn how to determine how much you need to retire and what life style you can expect given your projected financial situation. Get a free Retirement Planning Calculator just for attending. When you work with AIO Financial, you work directly with Bill Holliday, CFP - a fiduciary financial planner working just for you. Bill, a Certified Financial Planner with over 15 years of experience, is at every client meeting and responsible to insure your financial plan is properly carried out. We work with you on a comprehensive financial plan so that we are considering all aspects of your finances. 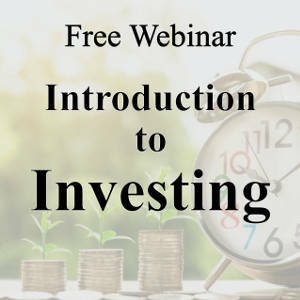 Learn about different types of investments and investing strategies.